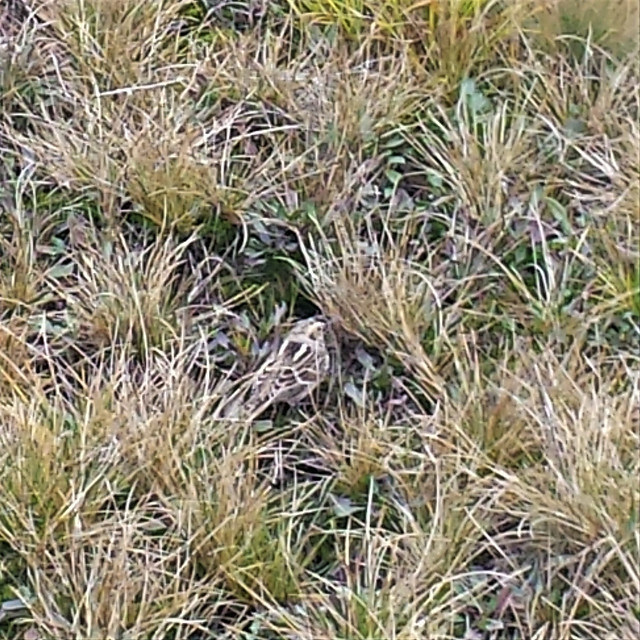 This is a late report of a Le Conte's Sparrow at Bowles Alvar North on October 26, 2018. The latest report for this species in Simcoe County from The Birds Of Simcoe County was September 11, 1937 at Holland Marsh. It did not fly often but crawled like a mouse through the tufts of prairie grasses hiding behind clumps of tufted hairgrass, little bluestem, prairie dropseed and big bluestem grasses.